AquaNui™ is the latest line of premium water distillers to come from Pure & Secure, LLC, maker of the Pure Water® brand. For 45 years, families, doctors, scientists, corporations and governments have relied upon Pure Water distillers to provide the cleanest, purest water possible. Now they can also rely on AquaNui. Our president, Al Meder, passionately keeps the AquaNui team focused on its core strength — manufacturing the best water treatment systems on the market. He is the former Chairman of the Distillation Committee at the Water Quality Association (WQA) and is the author of Distillation – Process and Technology, an authoritative reference used worldwide by water treatment professionals seeking WQA certification. 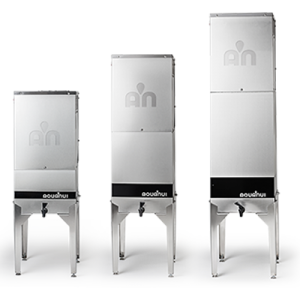 We manufacture the patented AquaNui premium water distillers individually by hand. We have a close-knit family of employees. Some of our craftsmen have been with the company for more than 15 years. We have never outsourced our production overseas. Every machine is carefully inspected and tested. 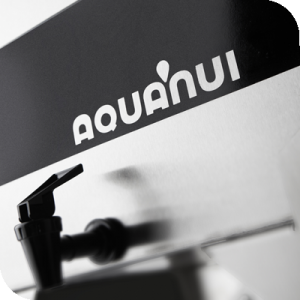 When you purchase an AquaNui, you know you’re getting a high-quality machine. 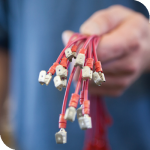 We source premium components and choose U.S. suppliers whenever possible. Our stainless steel sheet metal, for examples, comes from U.S. producers. AquaNui patent-pending, premium water distillers and storage tanks carry a 15-year limited warranty — a 2-year full warranty on electrical parts. Distillers we produced 40 years ago are still running strong. We’ve designed our water distillers to last. Customers tell us all the time how happy they are with the quality and durability of our products.